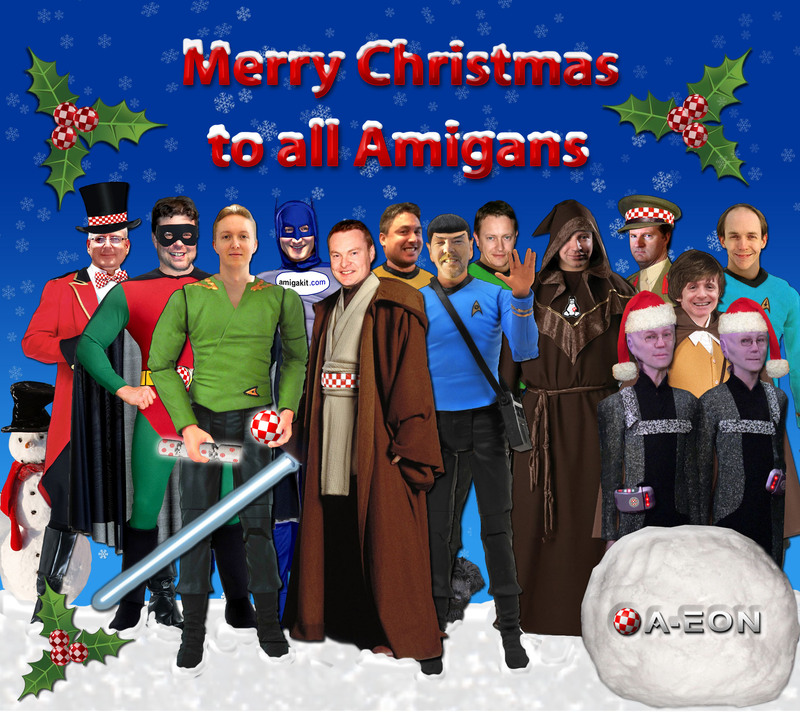 As we come to the end of another year in Amigaland it's a time to reflect on the past 12 months and look forward to what the new year will bring. 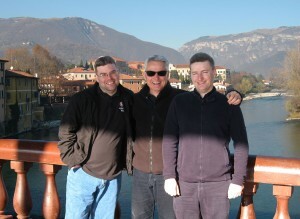 My recent visit to Pianeta Amiga has reinforced my believe that a new spirit of cooperation and understanding is slowly beginning to flourish and take hold within the Amiga community. 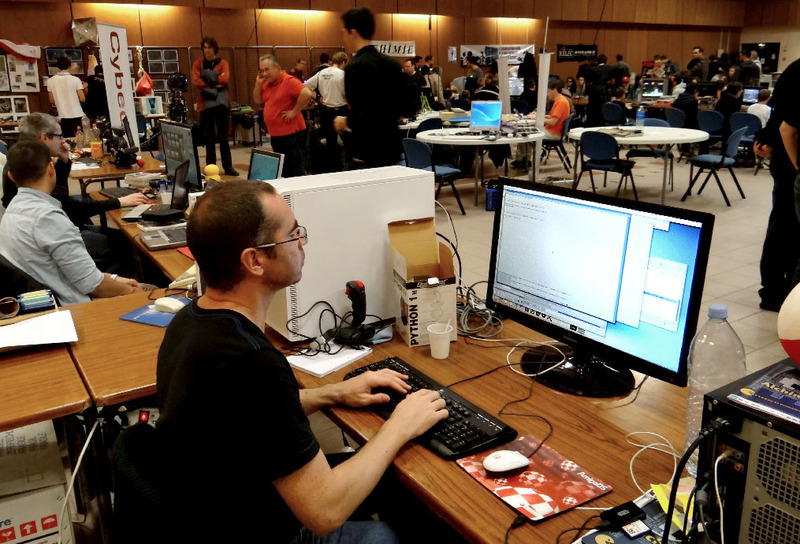 This spirit is epitomised by developers such as Fabien Coeurjoly (Fab) who, as primarily a MorphOS developer, has shared his source code with both AROS and AmigaOS 4 developers to enable his work to be ported to both Operating Systems. The recent release of the Odyssey 1.16 web browser by Roman Kargin (kas1e) for AmigaOS 4 is proof that this cooperation is bearing fruit. As most of you will already know, the Odyssey browser is an update of the earlier OWB and is based on the open source Webkit browser engine which is also used in many other mainstream browsers such as Apple's Safari and Google's Chrome (Blink fork). 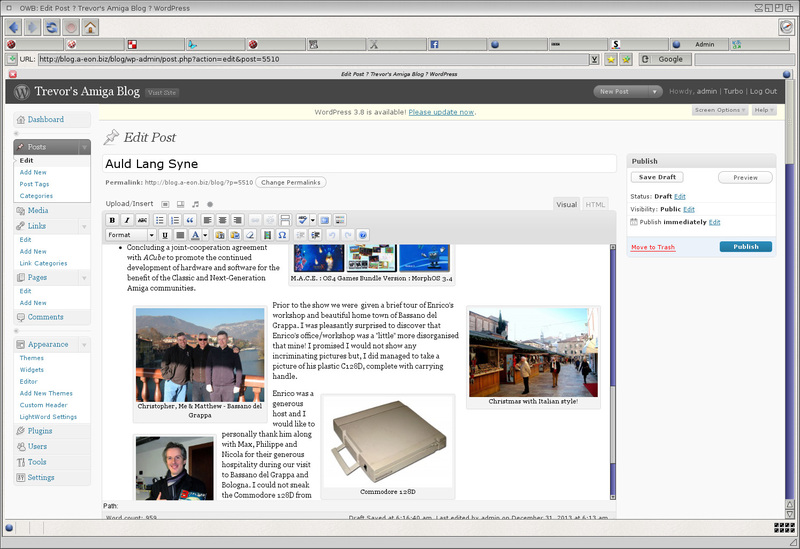 However, what makes Odyssey special from an Amiga perspective is the inclusion of the MUI user interface which gives it a much more Amiga-like experience for AmigaOS, MorphOS and AROS enthusiasts who cut their teeth on IBrowse, the first native MUI based browser for the AmigaOS which evolved from AMosaic. While the release of Odyssey 1.16 is good news for AmigaOS 4 enthusiasts Fabien's Odyssey browser for MorphOS is even more advanced with version 1.23, based on WebKit r155188 (October 2013), just released. It comes with many additional features including an HTML5 video/audio player. 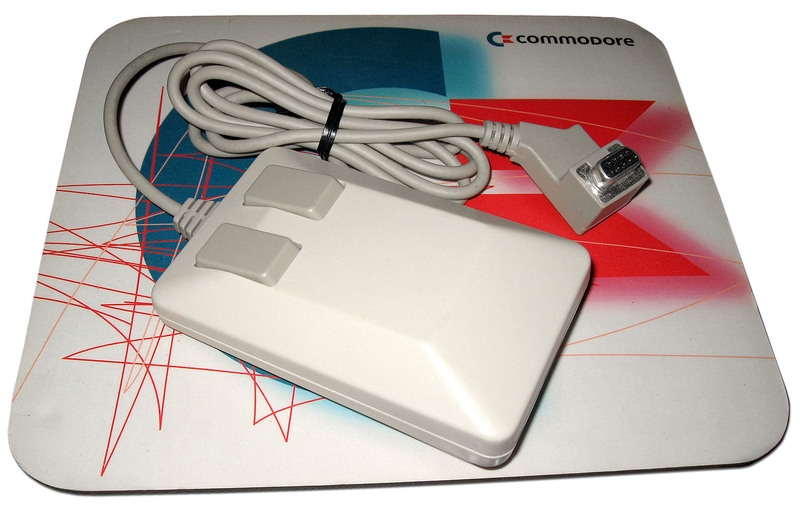 However, AROS and AmigaOS enthusiasts need not despair. 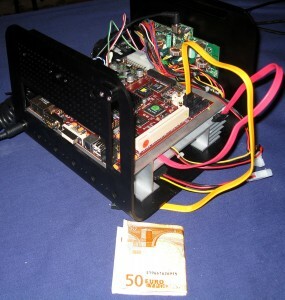 A bounty in excess of US$7,500 was successfully raised under the auspices of Power2People whereby Fabien has agreed to share all his current Odyssey source code under an open source license so it can be ported to AmigaOS and AROS. He has also agreed to freely share all future versions of Odyssey source code that he might develop for MorphOS. The Power2People bounty raised US$7,627 with 192 Amigans making a donation, including yours truly. 🙂 This is very good news for the Amiga community. Playing with, erm cough, I mean testing AmigaKit's new Arcade Evolution Amiga/C64 joystick, which is very solid and unlike my old Amiga joysticks very stable and easy to use. I was so impressed by the overall performance that I even bought the demo version that AmigaKit brought along to the show. 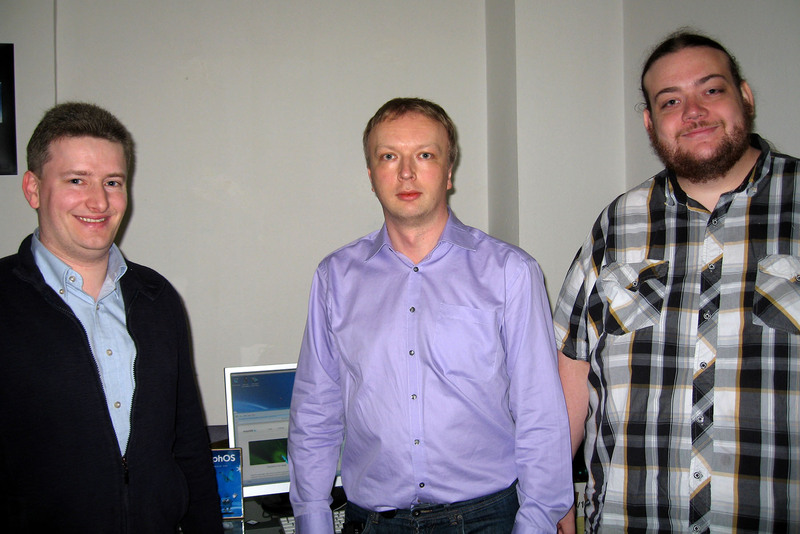 Meeting with Frank Mariak and Mark Olsen, two of the core MorphOS developers, who surprisingly don't have horns, hooves or pitchforks! 😉 I even managed to buy a special Holiday Edition boxed CD of the newly released MorphOS 3.4 update which had been hand crafted by Frank himself. Darn, I forgot to ask him to sign the CD box! Thanks to AmigaKit, I was able to test an Amiga 500 equipped with an ACA 500 accelerator with 2MB on board RAM and Compact Flash hard drives, connected to an AC1232 68030/40 accelerator card with fully licensed Kickstart 1.3 and 3.1 ROM images installed in on-board Flash ROM. The ACA 500 and AC1232, which also sported 128MB of Fast Ram, were both designed and manufactured by Individual Computers. Again, I was so impressed by the performance I came away from the show with two new cards to add to my Classic Amiga collection. Picking up a copy of the new Games Bundle Version 1 DVD created by Hughes "HunoPPC" Nouvel for AmigaOS 4 and finally getting my hands on a copy of the excellent M.A.C.E. game by EntwicklerX. 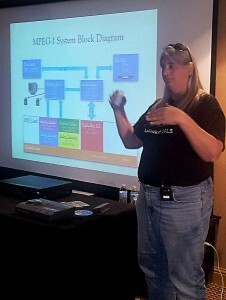 Learning about ACube's plans for the Mimimig Plus board. 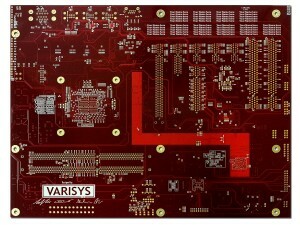 A prototype board was due to be shown but, unfortunately, due to last minute delivery hitches we had to make do with an unpopulated circuit board. 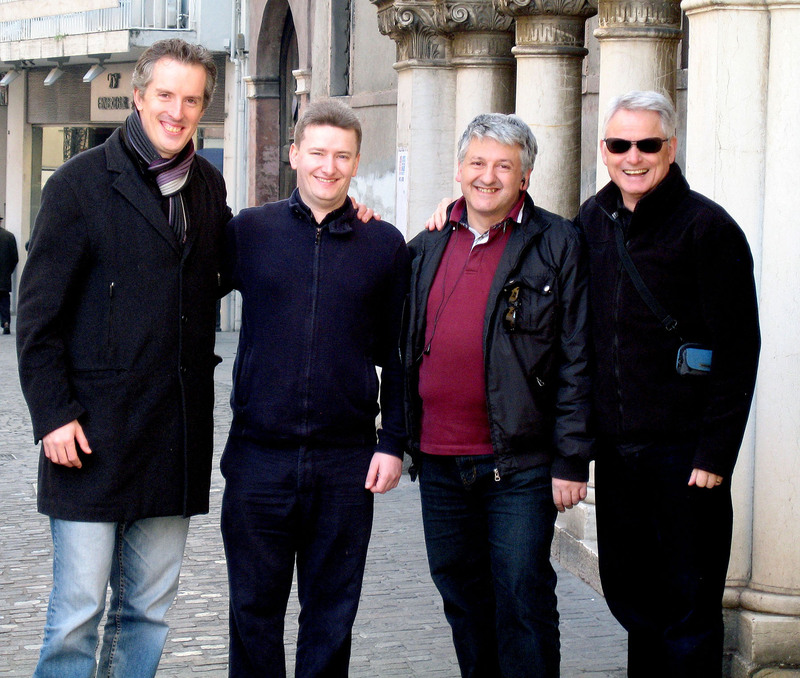 Concluding a joint-cooperation agreement with ACube to promote the continued development of hardware and software for the benefit of the Classic and Next-Generation Amiga communities. 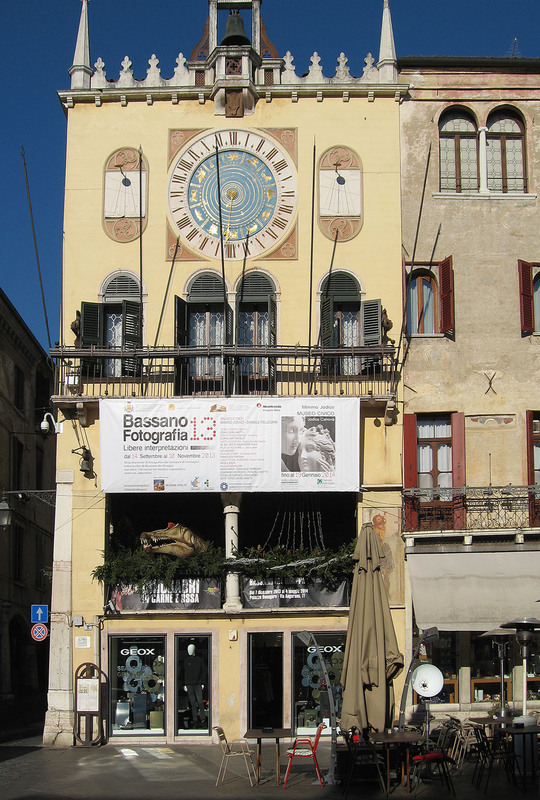 Prior to the show we were given a brief tour of Enrico's workshop and beautiful home town of Bassano del Grappa. I was pleasantly surprised to discover that Enrico's office/workshop was a "little" more disorganised that mine! 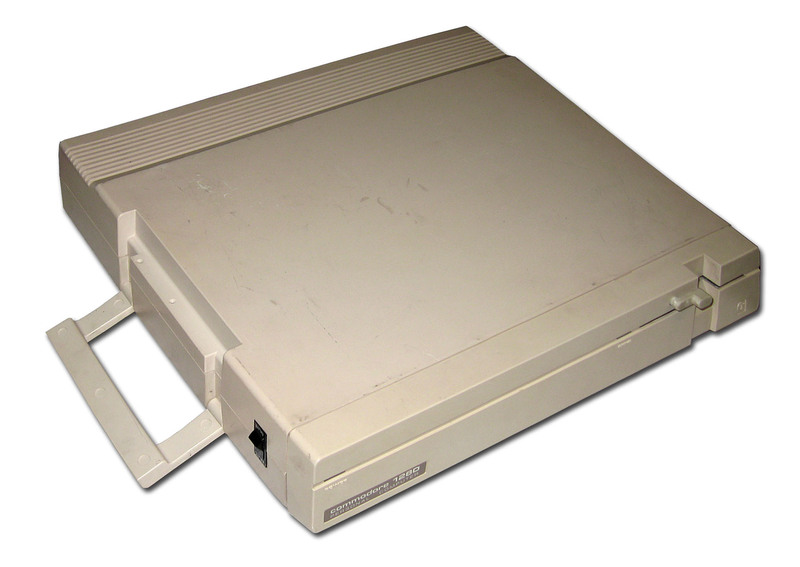 I promised I would not show any incriminating pictures but, I did managed to take a picture of his plastic C128D, complete with carrying handle. 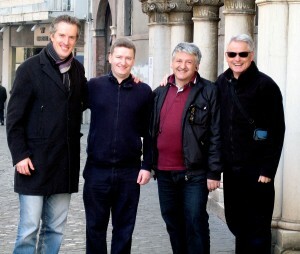 Look out for Max's Pianeta Show report in the next edition of Amiga Future magazine. 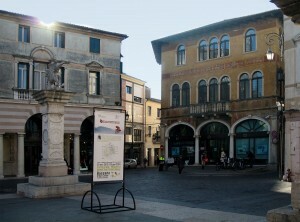 With the dust finally settling on AmiWest for another year the Amiga community now turns it focus to Italy's annual Pianeta Amiga show which this year is being held in the historical city of Bologna, an important cultural, economic and political centre in the Emilia-Romagna region of Northern Italy. Pianeta is Italy's premier Amiga show and while the attendance will be nowhere near as high compared to the Amiga's heyday, it does not detract from the Pianeta event, which is always located in one of Italy's beautiful historic cities. This will be my second visit to a Pianeta Amiga show. 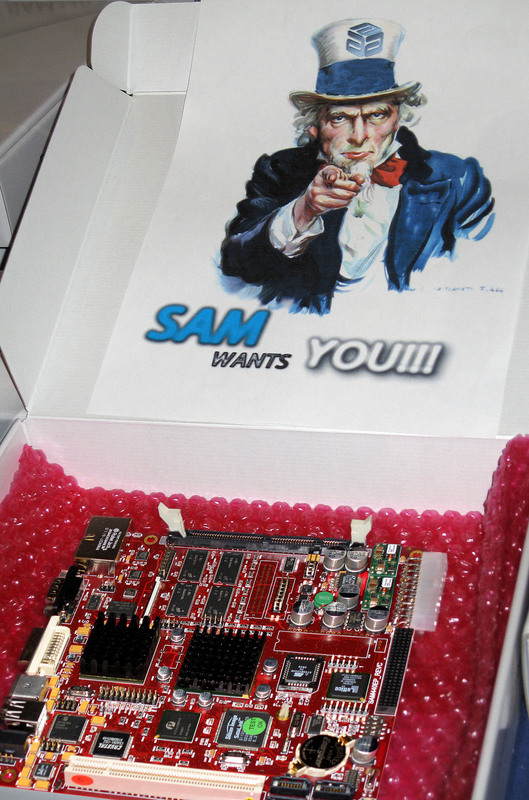 The first was to Empoli way back in 2007, just as ACube were about to release their Samantha motherboard (aka as the Sam440ep). I managed to sneak a private showing of a very early Alpha version of AmigaOS 4 running on the Samantha board. 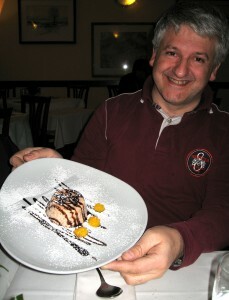 As this was my first trip to Pianeta I wrote a short visit report which I posted on AmigaWord.net. Shortly after the show I purchased one of the first Sam440ep beta systems supplied in a nice black NeXus case. The alpha version of AmigaOS 4 was very buggy and unstable but, as it was the first new AmigaOS 4 capable machine after Eyetech departed the Amiga scene it was very welcome. Since that time ACube's SAM systems have gone from strength to strength and no doubt some will be on sale at the show, along with A-EON's AmigaONE X1000 and Nemo motherboard. 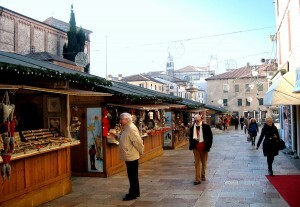 If you are are in the area or already planning to visit the show come along and say Ciao. Who knows, you may even get to see a few other little surprises? ....and as always there will be many more. 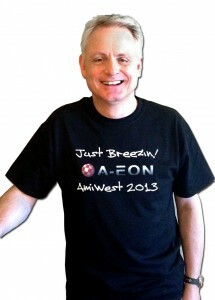 One of my highlights of the recent AmiWest show, apart from the Cyrus Plus announcements of course ;-), was swapping an A-EON sponsored Just Breezin' AmiWest T-shirt with former Commodore engineer Beth Richards for an unused and virtually new Amiga 1000 mouse. The mouse was in pristine condition and still had the small piece of foam padding inside the roller-ball area to prevent the ball from moving in transit. Beth was also happy with her Just Breezin' T-Shirt as she had worked very closely with the late George Robbins, the Commodore engineer who is credited for adding B52 song titles to all of the Amiga motherboards he worked on. A-EON continued that tradition with the B52 song title, Keep this party going on the Nemo motherboard and now Just Breezin' on the new Cyrus Plus board. Beth, who is a senior component design engineer with Intel, wore her Just Breezin' T-Shirt in honour of her former Commodore colleague during her AmiWest presentation in which she revealed secrets of her experimental work on the CD32 full motion video development and MPEG video compression that she was working on right up to Commodore's bankruptcy in 1994. I picked up another unusual item at AmiWest when Daniel Kloczko, one of the SACC board members, presented me with an Amiga Guru novelty notepad which was created by Larry Anderson of larrymade.com. The front cover is made out of an old 3.5" HD floppy disk which was marked IBM format on the back. Well I suppose that's a good use for it. 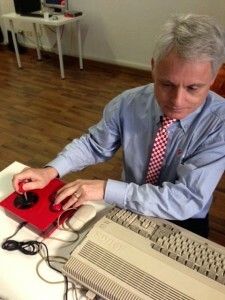 😉 I'm just pleased that Larry did not use an old Amiga floppy. 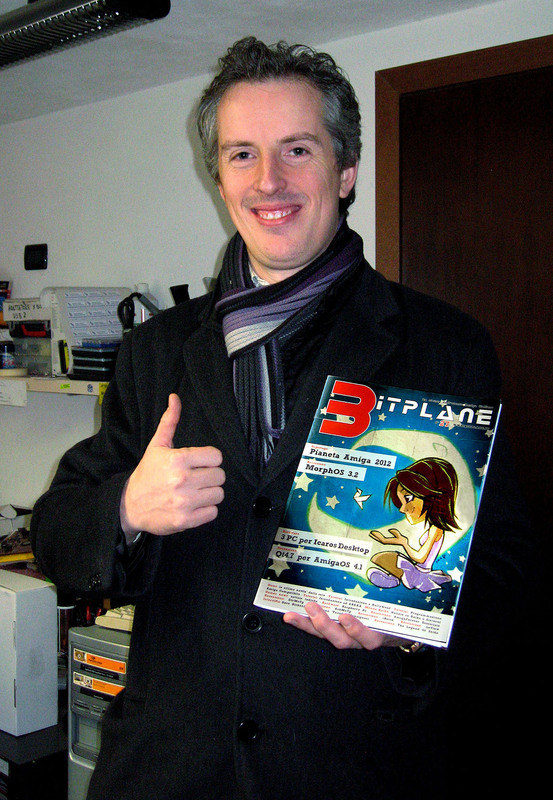 By the way, look out for my AmiWest 2013 show report in issue 106 of Amiga Future magazine. In the same issue I've also given an in depth interview to Anton Preinsack who asks some hard hitting questions covering the Nemo and Cyrus Plus developments. 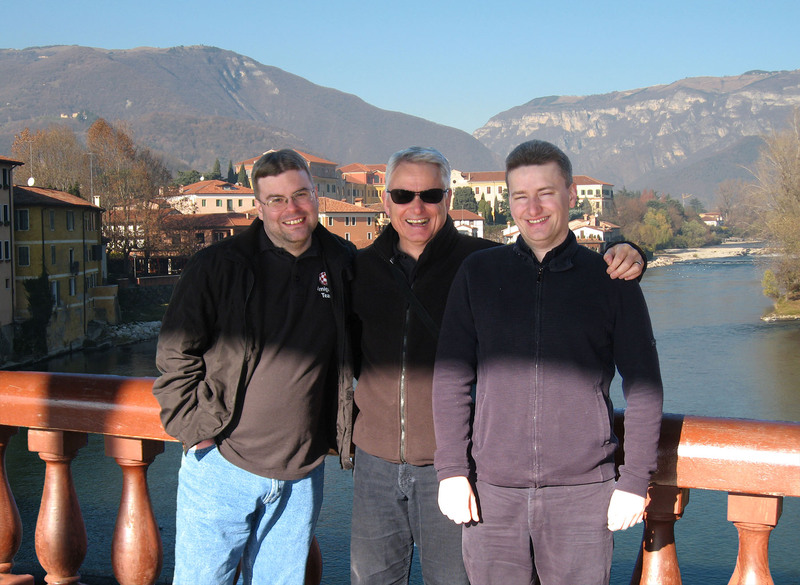 My final Amiga show update covers the Alchimie X event which was recently held in France. Although this is not an Amiga specific show, it does give French Amiga enthusiasts the chance to celebrate and promote the Classic and Next-Generation Amiga scene to a wider computer audience. 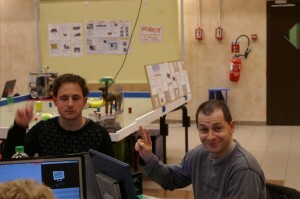 As one of the show's sponsors A-EON was provided with a display area and beta testers Alex Balaban and Ölrick Lefebvre graciously volunteered to bring along their own AmigaONE X1000 machines to demonstrate AmigaOS 4 in action on the fastest custom built AmigaOS hardware currently available. After the show Alexandre sent me a selection of photos. He apologised for looking a little bit tired in some of the pictures but, as he explained, after 8 hours of driving plus the extra time to set up the A-EON stand he was a little jaded. Something, he says, "that was not helped by the long days and short nights" at the three day event. 😉 Despite that they both had a great time and Alex was even "volunteered" to speak about the new AmigaOS 4 Vector-Port API. For more pictures of the Alchimie X please visit Gallery 1 and Gallery 2. A chocolate Swiss army knife - the best of both worlds? 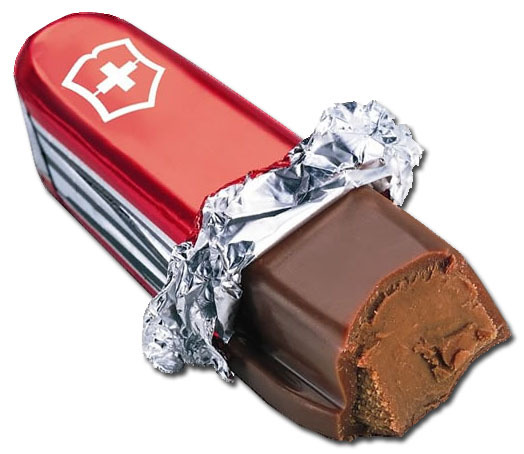 When you think of Switzerland you probably think of snowy mountains, silky smooth chocolate, expensive watches, the financial gnomes of Zurich and possibly the Red Cross. Oh and then there's the Swiss army knife and the Vatican's Swiss Guard. So, to misquote a famous Monty Python expression, "what else did the Swiss do for us?" Well there is also RELEC Hardware and Software Amiga who are located in Payerne about 55 Km north east of Lake Geneva. RELEC was the brain child of Emmanuel "XRAY " Rey who co-founded the company in October 1995. 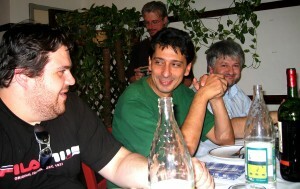 As XRAY admits, "initially it was a bit a family business" and although he is the main driving force behind the company there is a team of dedicated Amiga enthusiasts who are always available to lend a hand, especially for important Amiga shows like the Colmar Multimedia Show or the Alchimie Event in France. 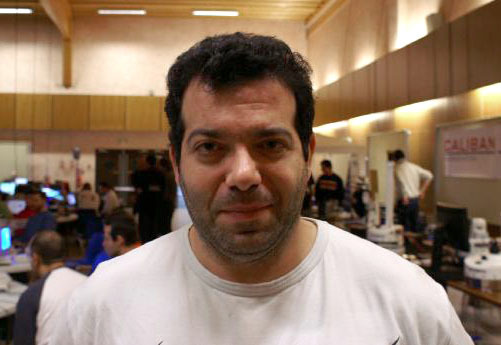 His team includes Nicola "SalternaOS" Raffinatore, who also handles translations and English and German communication along with Thierry "Tcherno" Rey, who XRAY describes as RELEC's super graphic designer. He can also call on Stéphane "Guibrush" Pitteloud, Benoît "Amigaouf" Wiblé and Fabien "Cali66" Meroz to lend a hand or provide the occasional customer support. 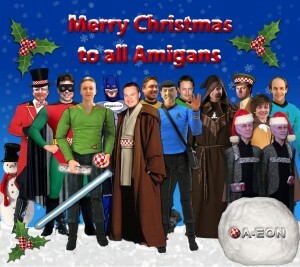 RELEC has continued to serve the Amiga community through good times and bad. 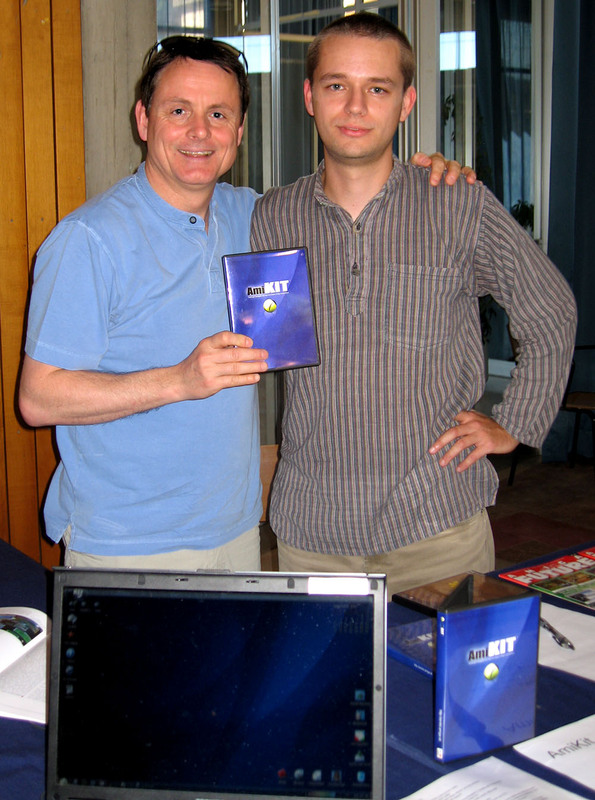 Since the demise of Commodore and the collapse of the Amiga market, in XRAY's own words, "it has been necessary to find solutions to continue to serve and to give satisfaction to the users. 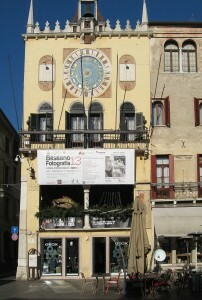 It therefore became imperative for RELEC to adopt a very light structure. 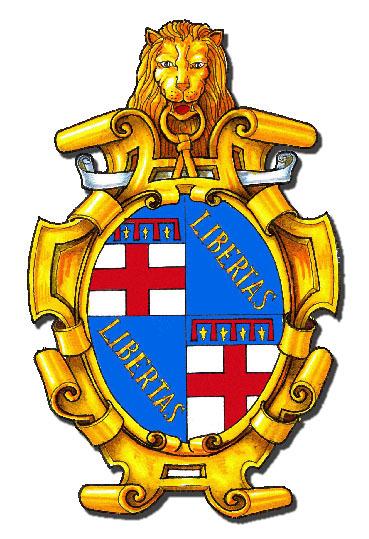 It is true that under these conditions, it becomes more a vocation than a business itself." 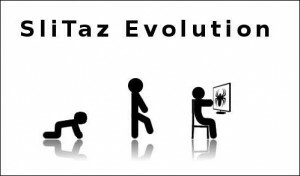 (and I thought I was the only crazy one? ;-)) RELEC distributes and sells Classic and Next-Generation Amiga products in Switzerland and other Francophone countries but, its products have also found their way to customers in Greece and the USA. RELEC always strives to distinguish its products and provide high added value for its Amiga customers. 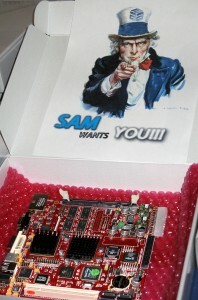 This is evident with "THE RED ONE", its customised Sam460 based system which it has especially configured for game players. I'm pleased to reveal that RELEC has now joined the A-EON party and has become an official distributor for Nemo motherboards and AmigaONE X1000 systems. I asked Emmanuel "XRAY " Rey to comment on the new distribution agreement, "Now with A-Eon, RELEC is proud to collaborate with the advancing AmigaNG and to propose powerful configurations worthy of a modern and efficient AmigaOS. Since 2 years we test the X1000, so it is with pleasure that we work with A-Eon and AmigaKit to distribute and promote the promotional offer. We look forward to test the CYRUS+ which should open the way for a new generation of powerful AmigaNG and hopefully accessible to a maximum of Amigans and non-Amigans :-)". I can only agree. The AmigaONE X1000 is assembled in Wales & Germany and now, with the addition of RELEC, it is Swissmade - a sign of quality and technical excellence. 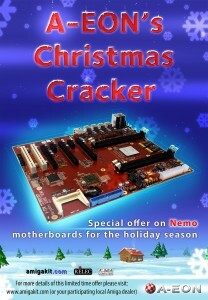 To celebrate this event, and the delivery of the latest batch of Nemo motherboards, A-EON Technology is pleased to announce a special Christmas promotion on Nemo motherboard and AmigaONE X1000 systems. 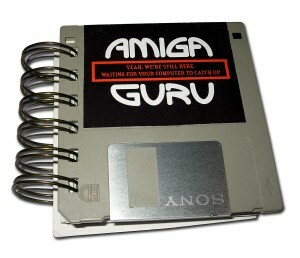 For more details please contact RELEC, AmigaKit or your participating local Amiga dealer. By the way did I mention Swiss neutrality, Heidi, yodeling, chalet style cuckoo clocks and aplhorns? At AmiWest a few lucky people were able to acquire the first copies of the Live Ubuntu Remix DVD for the AmigaONE X1000. One person who has now installed the Live Ubuntu Remix on his AmigaONE X1000 is AmigaOS Development Team Lead, Steven Solie. In a double helping of good news he made the following post on the Hyperion Message boards, "I was working on Timberwolf last night via Ubuntu on the X1000. A HUGE THANKS to our local Linux experts for making Ubuntu "just work" so I can focus on Timberwolf. Kudos! 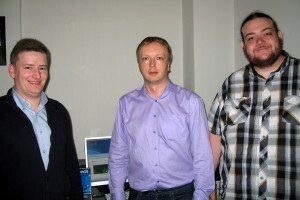 I have the code and I was just finishing up the cross-compiler dev environment. I plan to send out a binary release once I get it all working to establish a baseline. Then we can add some 3rd party devs to the team and get moving again. I'll blog when the time is right." Excellent news all round I think. 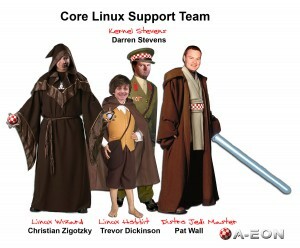 However, the Linux team are not resting on their laurels. 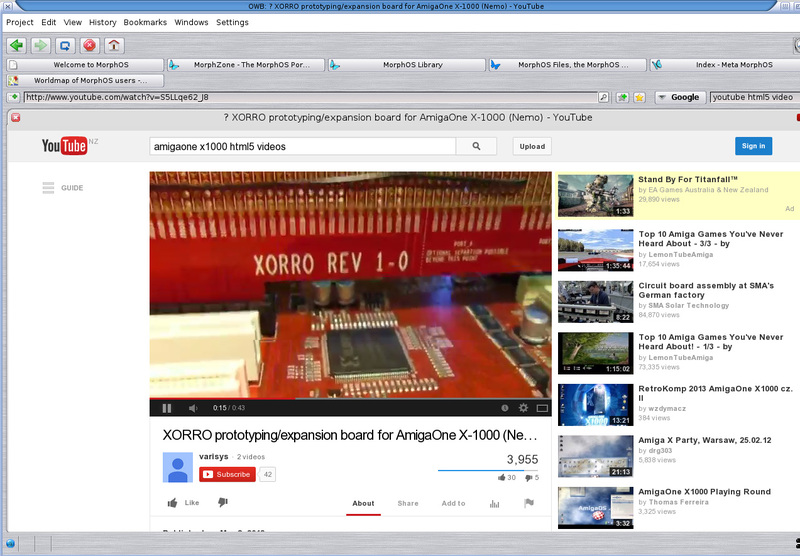 Work continues on the Kernel support for the AmigaONE X1000. The 3.10.15 kernel is stable and, as Darren reports, has been moved to a LTS kernel now so it will get updates for quite a while. Experimental beta kernels 3.11 & 3.12 are also quite stable and should be uploaded to the A-EON website in the new future. Christian is continuing to work on his SliTaz port, an experimental Linux system for experienced users, as well as releasing new versions of SuperTuxKart for the AmigaONE X1000 and non altivec equipped PowerPC machines. 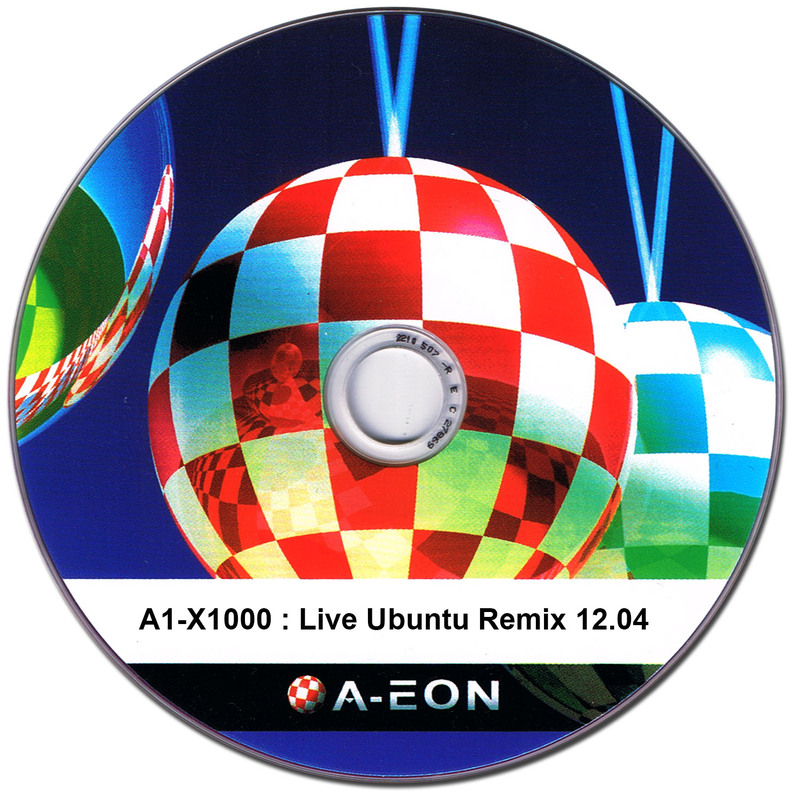 The Live Ubuntu Remix DVD for the AmigaONE X1000 will be available on the A-EON AmiStore in the near future. There has been an excellent response to the Cyrus Plus beta test programme. The deadline for applications is at the end of December. Successful beta test applicants also have the option of having their name or nickname added to the Cyrus Plus motherboard silkscreen. 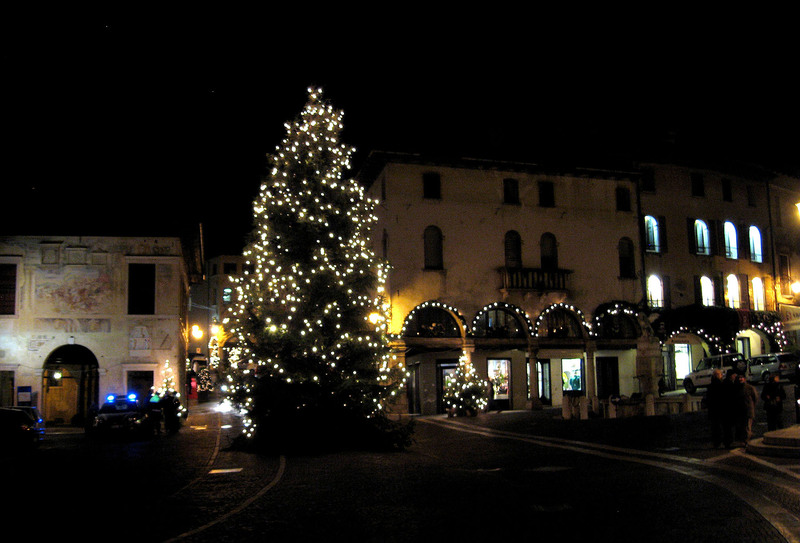 However, the deadline for this option is earlier and is set the 15th of December. If you have registered your interest in joining the Cyrus Plus beta team and have not yet had a response from A-EON please send an email to contact(at)a-eon.com. By the way, just in case you think Cyrus is getting all of the attention, work is continuing to improve support for the Amiga ONE X1000, which remains an integral part of the AmigaOS 4 development effort. The Nemo board is being used for multicore development under AmigaOS 4 and a couple of new drivers for A1-X1000 are in the works. Watch this space. If you read my blog you will know that I have an interest in the commercial battle raging between Apple and Samsung, which is being fought in the law courts as much as it is in the high streets. 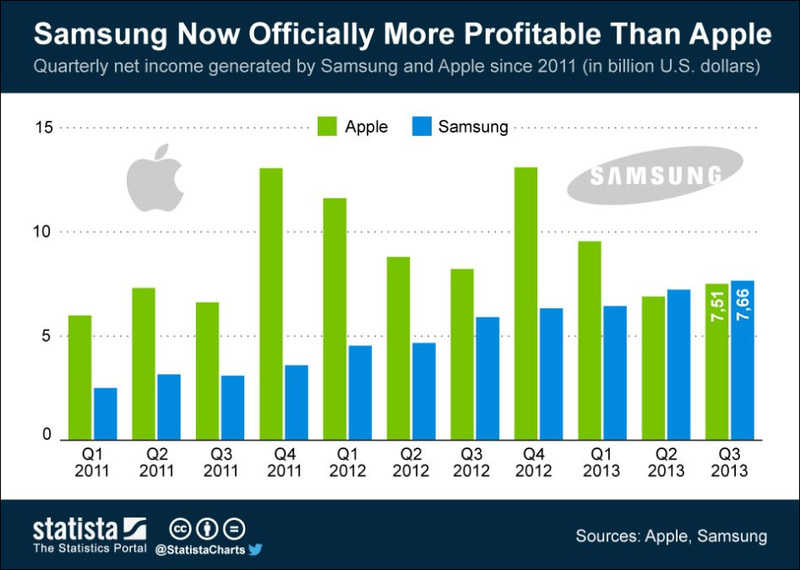 It appears that, despite some of Apple's recent legal victories in the USA, Samsung is continuing to narrow the gap on its arch rival. 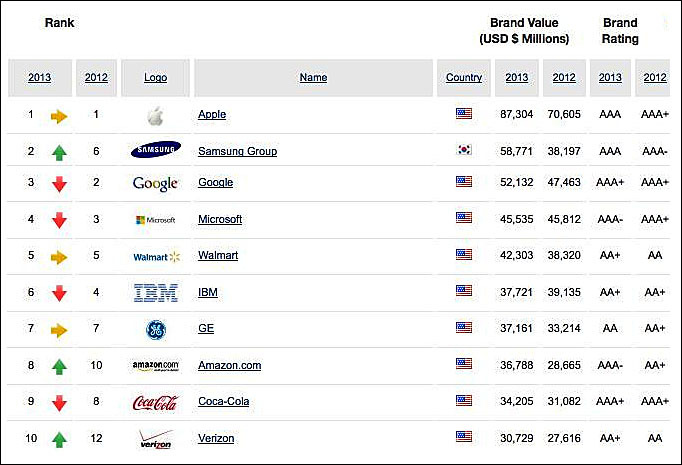 In a recent survey of the most recognisable brand and logos in the Western world, Samsung has now moved up to number 2 spot and is closing in fast on Apple who are still in the top spot. 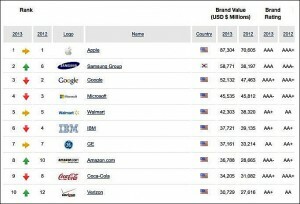 In fact Samsung is the only non USA corporation listed in the top ten. 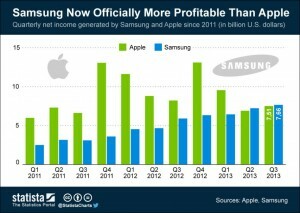 More interesting, in the third Quarter of 2013 Samsung was officially more profitable that Apple. However with the Christmas season coming up this could all change as, according to one report, Android users accounted for 40% of all Apple iPad sales on Black Friday, the USA traditional post Thanksgiving sales frenzy. 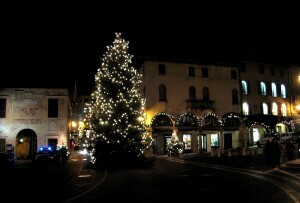 Arrivederci for now, next stop Pianeta Amiga.